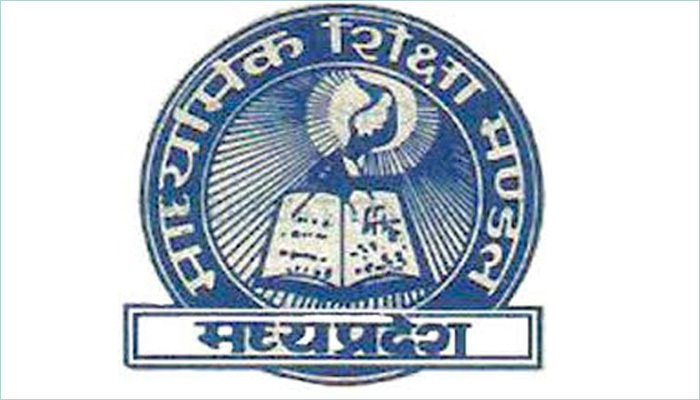 About: Madhya Pradesh Board of Secondary Education is a Board of School Education in the Madhya Pradesh State of India. MPBSE is a Madhya Pradesh Government body responsible for determining the policy-related, an administrative, cognitive, and intellectual direction of the state's higher educational system. History: MP Board of Secondary Education was established to conduct the affairs of regulation of secondary education in the state and was established as a regulatory authority through the Madhya Pradesh Secondary Education Act, 1965. The Board conducted its first examination in the year 1959-60 in which near about 80,000 students appeared for the exam. Recently 10 lakh students have appeared for the MP board 12th/Intermediate exam and it is increasing in the course of time. Frequency: Every Year Madhya Pradesh Board of Secondary Education conducts 12th/Intermediate Exam in the Month of March on the basis of the syllabus prescribed by the State Government of Madhya Pradesh. Source: The website is the best source for the students to check and download the latest updates of MP 12th Board 2019. The students can check the Madhya Pradesh Board 12th Result 2019 from the official website, know more about hall ticket, registration forms, syllabus etc on the official website of the board. MP Board 12th/Intermediate Result 2019: As Per the Latest notifications from MPBSE, the MP board has released the 10th as well as 12th Result on May 14 at 11:15 AM. Candidates are required to go to the official website to check out the 12th/Intermediate Result 2019 by entering their Roll Number. Time Table: Madhya Pradesh of Secondary Education will declare the MP Board 12th/Intermediate Time Table 2019 on the official website. For 2019 MP Board 12th Board examination the newly updated timetable has been released. The candidates are requested to go to the official website of MP Board and check out the 12th/Intermediate Time Table for the 2019 session. Duration: The MP Board exam 2019 will start from March 1 to April 3, 2019, and it will be held in the morning session. Geography, Chemistry, Third Question Paper Voc. Availability: The MP Board 12th (Intermediate) Application Form 2019 will be available online from December on the official website of MPBSE. Candidates need to go to the official website and download the MPBSE 12th/Intermediate Application Form. Form Filling: The MPBSE 12th/Intermediate students are requested to fill the Application Form under the guidance of the School Authority which comes under the MP Board. Note: MP Board 12th/Intermediate candidates are required to fill and submit the application Form within the given stipulated time otherwise the candidates will be disqualified from giving the MP Board 12th exam 2019. Official website: The Students are requested to go to the official website of MP Board to download the MPBSE 12th/Intermediate Exam Admit Card. Admit Card Date: The MP Board 12th/Intermediate Admit Card will be released on 7th February 2019 and the candidates can download the Admit Card before 1st March 2019. Credentials: The Candidates are required to enter their Application Number at the time of downloading the MP Board 12th/Intermediate Admit Card. Declaration: In Second week of May MPBSE Class 12th/Intermediate Result 2019 will be declared. The candidates need to go to the official website and check the result. Credentials: Students appeared for MP Board 12th (Intermediate) exam 2019 can check their Results by entering their Roll Number or Application Number provided in the result section of the official website.